Since Nintendo won't make any more Mother/Earthbound games, it's up to fans to carry the load. And while Mother 4 is looking every bit the faithful entry in the series, it's sadly been delayed into 2015. To soften the blow, though, there are new screenshots! And my God, they look wonderful. Many know this project started over five years ago, but most don't know how many times the project has been reworked and rewritten. Mother 4, in its current form, has only existed for about two years. These past 5 years have allowed team members like Dave, our lead developer, to create some amazing modules for the Mother 4 engine. The battle background module, for instance, is incredible. What isn't great, despite how much the quality has increased, is how much further behind schedule we've become than we realized. Yet, as Mother fans, we will only be satisfied with the highest quality of work. That has led us here. 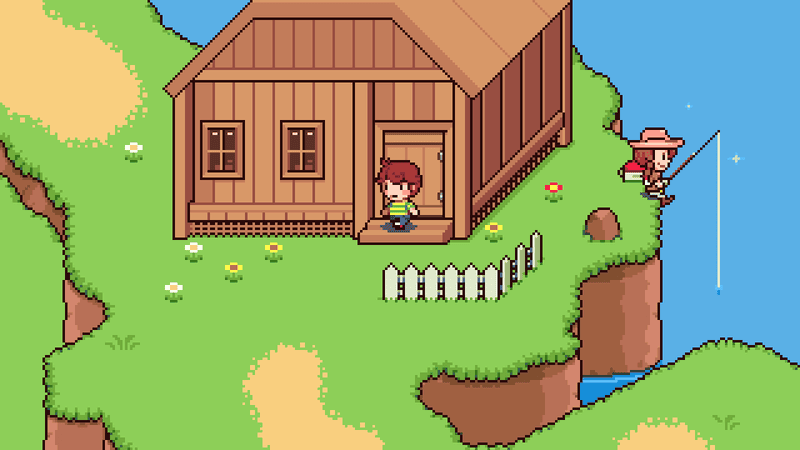 Today, we're announcing that Mother 4 will be released in 2015. In a few weeks, we'll post a specific release day.